The Hex-Air Management System streamlines the procedures of sorting, counting and packing. Thanks to its Bulb Management technology, it is uniquely capable of handling asymmetrical as well as symmetrical flower bulbs, and is equally suitable for strawberry plants, leaves, shoots and cactus leaves. Based on a microprocessor, keyboard and display, an electronic scale and pneumatic air jet system with an optional conveyor, the system is easily programmable. It sorts items by weight, keeps count of the number of items in each category, fills containers to a target quantity, and handles up to 3,500 units per hour. 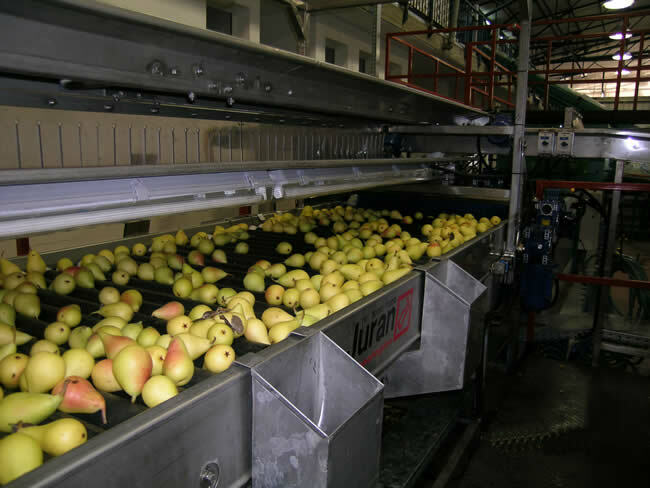 Electronic/Optic Sorting System for Fruit & Vegetables is a high performance sizing and weighing system that sorts by size a range of fruit and vegetables including apples, pears, peaches, persimmons, tomatoes, avocados, celery, mangos, carambolas, and peppers. A modular system, users can install 2 to 8 sorting rows, each with a capacity of 1-3 tons per hour. 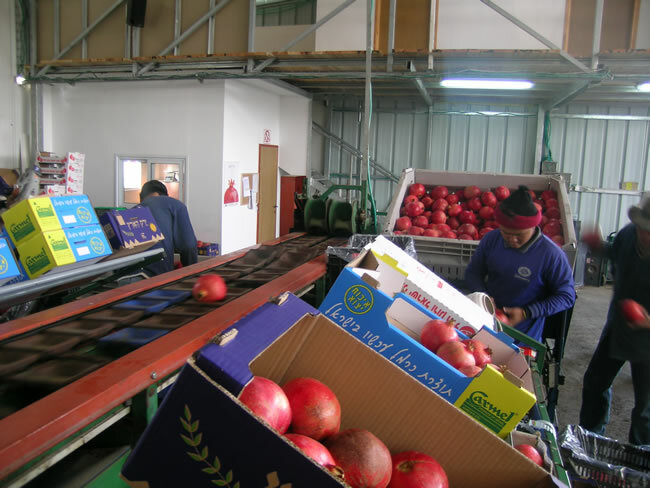 Gentle handling and optional washing, brushing, and waxing ensure the high quality of the produce to be packed and shipped. These Juran systems are installed in several countries from South and Central America, to Africa and Australia.